Not a month goes by without a news report of an active shooter situation somewhere in the United States. If you look at the FBI statistics (which have only been updated to 2013), they are constantly on the rise. If only the police could get there faster, to protect our children at school. I spent many years substitute teaching while my boys were in grade school. Eventually I earned my teaching license and taught for 2 years in long-term sub positions. Why do I mention this? My background is somewhat diverse, allowing me to bring a well-rounded view to the important topic of having armed faculty in the schools. Oh, you weren’t aware there are school districts in the U.S. where some of the faculty is armed? There are many, including those in my home state of Ohio. You see, some school districts out in the country may have up to a 40-minute wait for law enforcement to arrive after a distress call. They know their only hope to stop a killing is to take matters into their own hands. Other districts with faster police arrival times know that when seconds count, law enforcement is only minutes away. Many school districts in Ohio send their staff to Faculty/Administrator Safety Training and Emergency Response (FASTER) Training, a course I’m proud to be a part of. The FASTER program began as a vision of John Benner, owner of Tactical Defense Institute in Ohio. 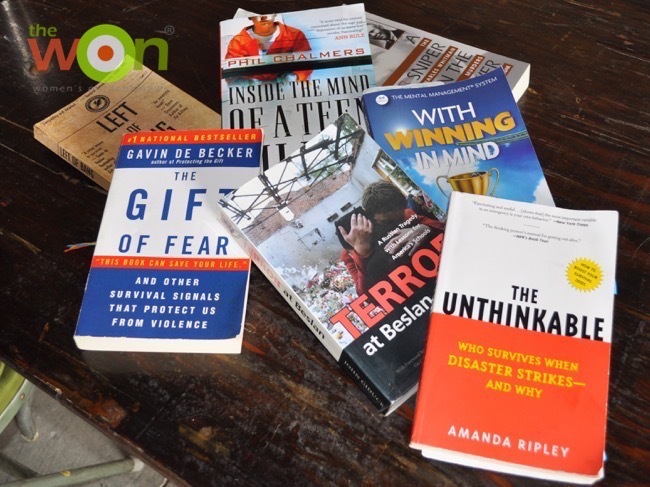 Although he had been working on the concept for a while, it wasn’t until the Sandy Hook Elementary tragedy in Newtown, Conn., that schools were ready to listen. Through the support of The Buckeye Firearms Association, this nonprofit program arose, giving educators practical violence response training. Classes are provided at no cost to the school districts. Mindset is important. Michelle has a list of books she suggests all the students read. In March of 2013, I was part of the two dozen school staff members (out of 1,400 applicants) attending the first FASTER course. The 27 hours of training over 3 days was very intense. Since then, more classes are held every year; Level 2 and 3 courses have been added. So far, more than 500 staff members have been trained, hailing from 152 school districts in 63 of Ohio’s 88 counties. This summer, my firearms consulting business, Cerino Consulting and Training Group, held 2 FASTER courses. A few of the students sent me e-mails after the course, giving some insight into their experiences. A live fire shoot house is used for target identification. I am not an educator, but I am a concealed-carry permit holder and a proud supporter of the 2nd Amendment. I am a business professional and the same threat of an active shooter exists in the workplace as in schools. We spent 2 days outside on the range. It was hot. It was dirty. And it was intense. This was tactical training focusing on accuracy, speed and technique. We learned to shoot from a holster, on the move and under pressure. 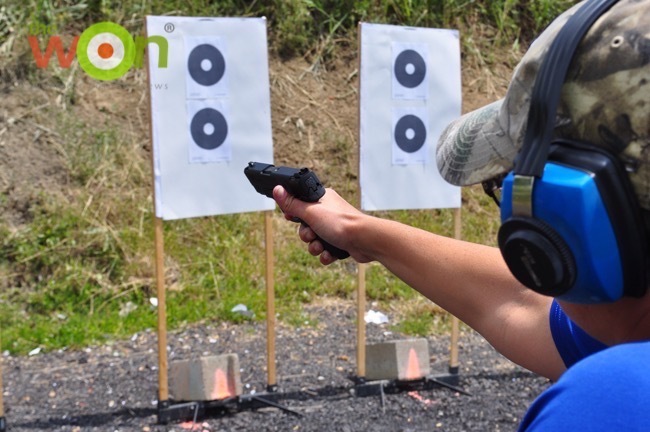 In order to achieve certification, we needed to pass a shooting qualification test—a test demanding better performance than what is expected from local law enforcement. This was serious stuff. But the most stressful part of the program was the active shooter simulation. The simulation occurred at the end of the course in a nearby high school, and was designed to look and feel like a real active shooter scenario. Volunteer kids and adults were on site to serve as actors. The facilitators used guns firing blank ammunition, and we used airsoft guns for the simulation. Shooting from retention is part of the test for Ohio Police officers. Anxiety levels were high. The simulation began: Gunshots were firing, kids were screaming, men were yelling…and it suddenly felt very real. As each of us waited for his or her turn in the the simulation, the stress grew. One woman thought she might be sick. My heart was beating fast. I felt the same fear and anxiety as my fellow students. I was the last to go during one of the simulations. Shots were firing over and over upstairs. Wearing the protective mask, I could hear my own breathing loud in my ears as I made my way up the stairs. I came around the corner, and serpentined down the hallway, clearing doorways along my way like we had been trained. As I came around another corner, I saw our volunteer “shooter”—a teenage boy wearing a hoodie. He was backing out of a classroom after having just shot several victims … and he was laughing. I can still hear that laugh in my mind. Without hesitation, I raised my gun, put my sights on the shooter, and fired twice. They were good hits and he went down. The threat was over. That night I shared the story with my husband. He asked if it bothered me. I was confused and asked him what he meant. He asked, “Did it bother you to shoot a kid?” I thought about it, and realized that until he asked me that question, I had never thought of the shooter as a kid. He was a bad guy with a gun out to hurt people—out to hurt children. I was trained to stop him, and that’s exactly what I did. I am proud of the teachers in our class. Not only do these teachers dedicate their lives to educating our children, but now these men and women are willing to put their lives on the line—literally—in order to save our children. What a gift. Students learn many skills, included one handed shooting. The biggest thing I learned from the course is that every district needs to have this training. This class far exceeded my expectations by putting the trainees in real-life scenarios and providing them with the training needed to handle those situations. As a U.S. Army veteran, I put this training right up there with my military instruction and consider it to be pivotal, life-changing and excellent. 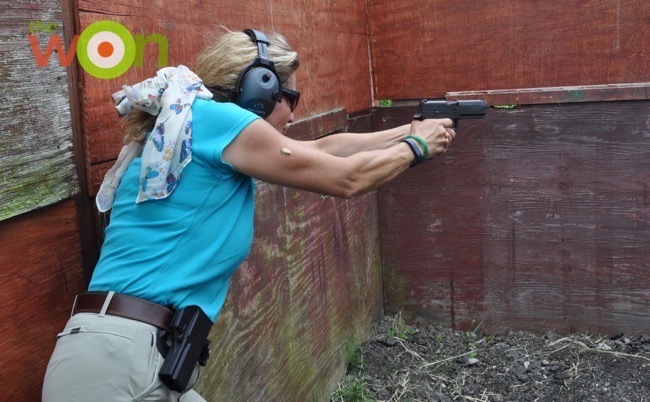 The SIRT pistol from Next Level Training is used throughout the course. When I came I had no idea what to expect, but I will say I was very nervous. As an administrator at a school, my plan was that if I couldn’t handle it in training, I didn’t want to be the one to handle it when it’s the real thing. This class totally changed my thought process. The training I received does not just apply to our school, but it applies to everyday life. I learned how to be alert and see things around me. I learned how to move swiftly and effectively through my school and how to handle the situation with a level head. A staff member goes on the hunt for the active killer. Carrying a firearm in school is not for everyone. This person must have the proper mindset and shooting ability. The purpose of having armed staff is not to replace police and EMT, but to allow on-site personnel to stop school violence rapidly and render medical aid immediately. It is a well-established fact that a faster response to school shootings and other violence results in fewer lives lost. How does your child’s school plan to respond to an active killer situation? This RetroWON, “FASTER Saves Lives and Protects Your Children at School” first appeared July 21, 2016.